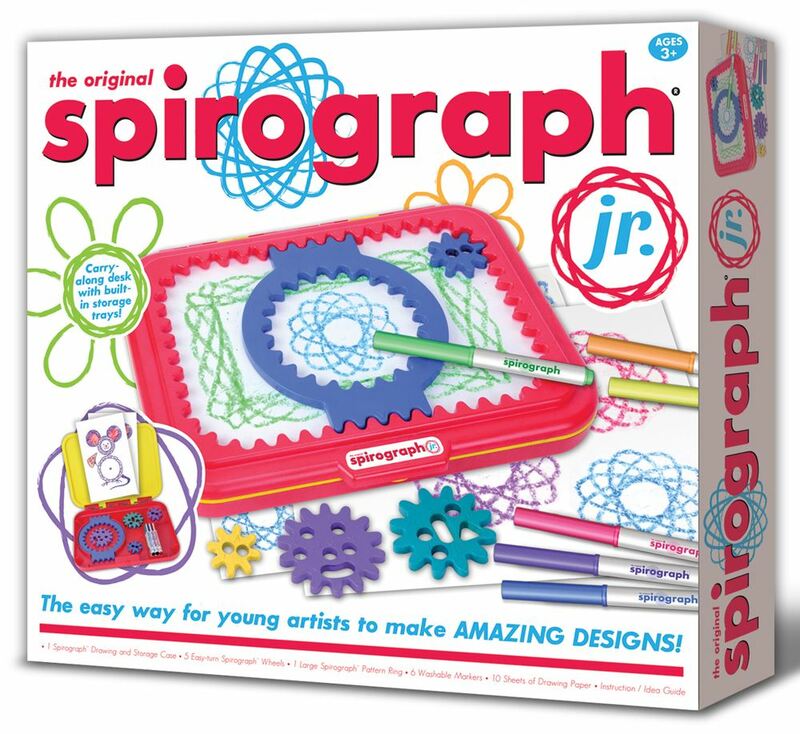 Little artists can now create beautiful patterned art pieces with the Spirograph Junior Set. Designed for small hands and growing minds, this set comes with jumbo gears and 5 washable markers. The handy drawing tablet doubles as a storage case and work station. Instructions and design sheets are also included so kids can start drawing right away. Age 3+ years. Distributed in New Zealand by Holdson.